More Bone Fragments found near Tucson | DISCLOSURE. NOW. MARANA, AZ – July 7, 2012 – Partial human remains were discovered by a local construction worker Tuesday morning, north of Interstate 10. 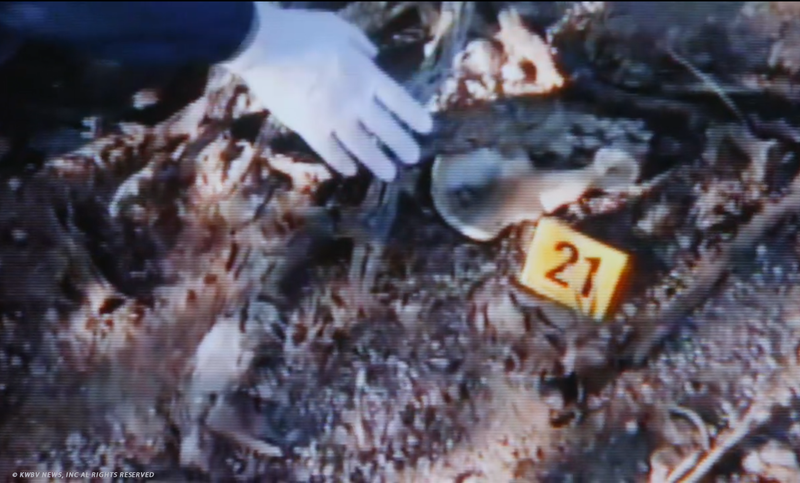 The bone fragments were “stripped clean” of any identifying marks, and county medical examiners have been unable to extract DNA samples from the remains. Over the past 15 years, as many as 257 missing person’s cases have been reported to the Maricopa County Missing Persons Bureau, however Pima County Border Patrol authorities believe the actual number is significantly higher. “We find between 1-2 skeletal fragments each month,” states Arizona Border Patrol Lieutenant Rich Wilcox, “No I.D., no leads, nothing,” leading investigators to believe the number may be as much as 100-200 persons per year. Based on these estimates, county officials unofficially warn there may be as many as 2000 missing bodies between Phoenix and the Arizona-Mexico border. “And the pattern seems to be moving south,” adds Wilcox. 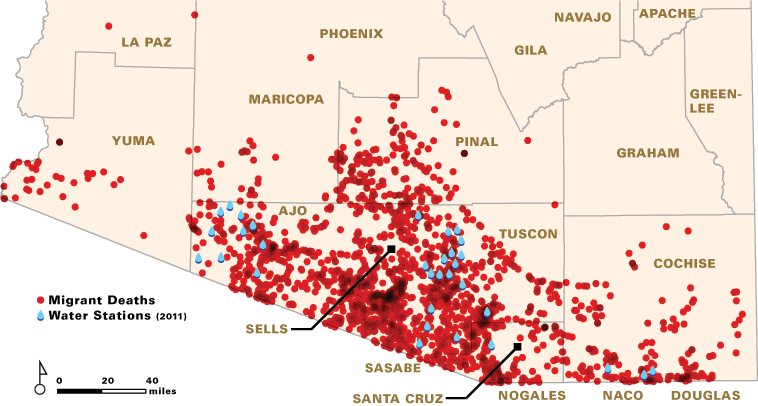 From October 1999 through the present, over 2000 deaths were recorded at the Arizona-Mexico border. Water stations, placed by the nonprofit Humane Borders, are intended to mitigate the deaths. “There may be even more,” says Border Patrol Sergeant Jim Statter, “[however] since Mexican officials do not track or report disappearances on their side of the border, there is no data available to us.” Statter believes the number could be “at least twice,” the amount on the US side. Agents say that many missing persons cases are never reported, due to the high number of Cartel homicides, drug trafficking, and human trafficking over the border, along with a high transient population, teen runaways, and cross country travelers. Animal attacks have not been ruled out, however the condition of the bone fragments suggest “a more intelligent predator,” according to Wilcox. Source: Migrant death map provided courtesy of Humane Borders, Inc. Data development by John F. Chamblee, Michael Malone, and Mathew Reynolds.